So, I have a confession... I am a cheapskate when it comes to purchasing hair products! I always have this fear that the products will not work for my hair and it will equate to wasted money. Don't judge me. Nevertheless, this is why I love giveaways and I was stoked (did I just use that word...) when I won Fatshion Insider's Optimum Salon Haircare Giveaway! One of the products I received was of course the 6-in-1 Miracle Oil that Tracee Ellis Ross swears by. Also, if you didn't know, Tracee Ellis Ross is the spokeswoman for the Optimum Miracle Oil line of products. 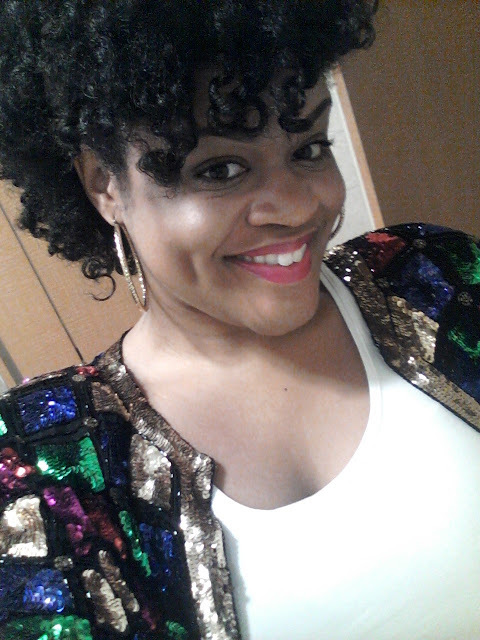 Her curls are coveted by many so I was excited to see how they would perform on my 3C/4A hair. Harness the power of six natural oils: Argan, Coconut, Sunflower, Apricot, Jojoba, and Avocado, for six differnt uses! Apply to hair, scalp, and skin to use as a hot oil treatment, daily leave-in conditioner, moisturizing scalp oil, braid, loc, and extension conditioner, all day frizz controller, and dry skin hydrator. The first thing that comes to mind with this product is that I was not impressed. 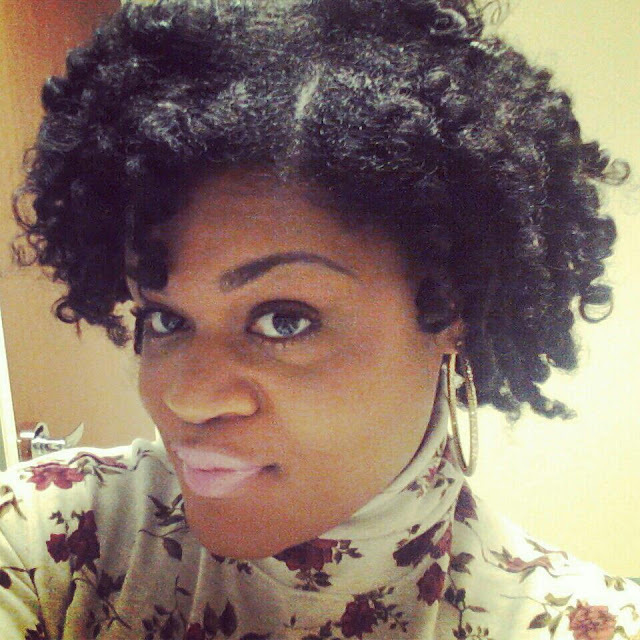 The first time I tried it was with the LOC Method, which resulted in a twist out. My hair felt great the first day, but then was very dry the next. Typically, my hair can keep moisture in it for at least two to three days so one day of moisture was disappointing. The next time I tried it, I tried it as a hot oil treatment prior to shampooing. This was definitely my preferred method. It made my hair extremely soft and kept my hair moisturized even after shampooing. The downfall to this was that after these two uses, 3/4 of the bottle was gone. Since the bottle costs around $9 for 4 fl. oz, I do not think that is good amount for the money. Also, when I first received the oil, I received a question from someone asking where it could be purchased. That's when I discovered how hard this product is to locate. Optimum has a Product Locator and no stores within 25 miles of my area sold the product; however, it can be purchased online. Honestly, no. 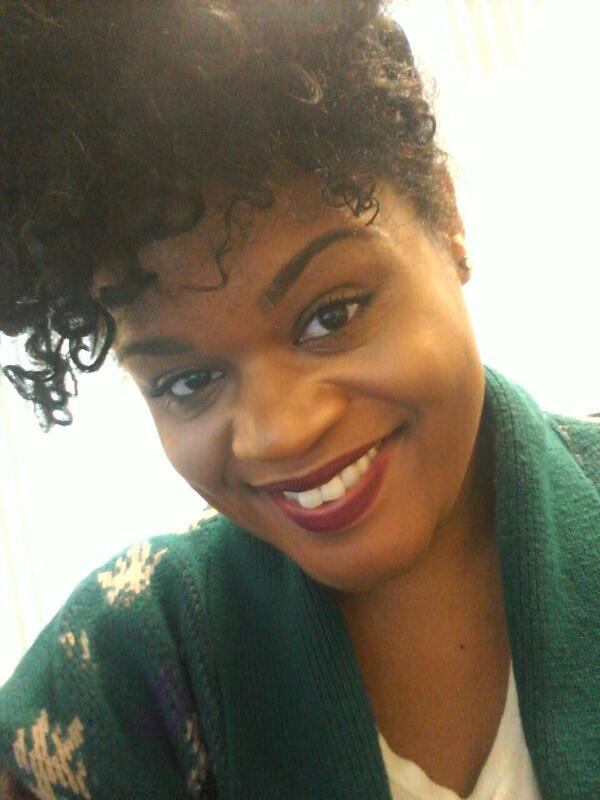 I will keep using my trusted coconut oil, which is much more moisturizing for my hair. 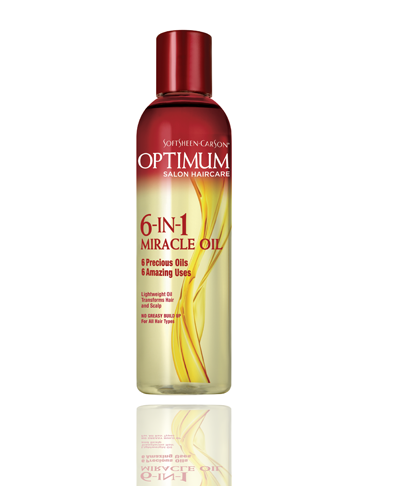 Have you tried the Optimum 6-in-1 Miracle Oil? Somewhat disappointing but I love your hair style here! Was this just from a twistout? Great product review! I was interested in trying this but like you I don't like to spend money on products just in case it does not work well for my hair. If I get a few samples from hair shows/events I might try it but I don't see myself investing in it. Your hair looks great in the pictures(as always)! Thanks lady! I appreciate you stopping by! Great review Ashley! I have always had a hard time finding a miracle oil that works well for me hair. About 2 years ago I started using Aphogee's Essential Oils and I love it! This is the only one my hair cuticles actually absorb. And its only $5.99! Your hair is beautiful!! I was looking for new products to try on my natural hair to help it hold moisture because mine doesn't at all, now I know to stay way from this product. Thank you for sharing this review!! Beautiful and you're so right about it being hard to locate! When I first heard about it, I searched everywhere and never found it. When I did find it, I had already concocted my own miracle oil (lol). I love your hair! maybe one day mine will be as thick! The first place I spotted it when it FIRST came out mind you, was Dollar General. I paid $8 and it is still sitting on the shelf after one use.